Every 3rd Weekend is themed. Stairs with shiny metal railings lead down into the club, ending at a long glass landing that leads down more stairs on either side to the wooden dance floor. 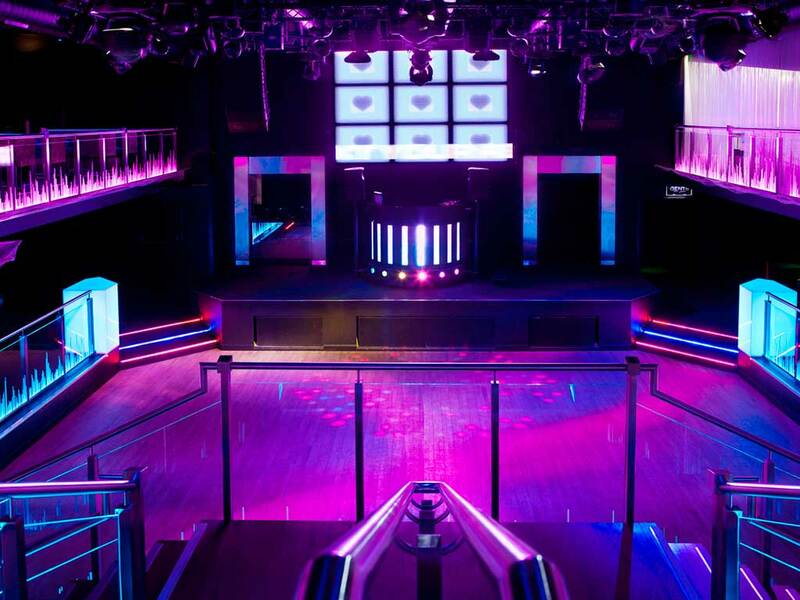 Decades is well lit with blue and pink runner lights on the stairs, allowing patrons to find their way, even when the club is shrouded in darkness. The walls are a black, with little to no decorations allowing the club to become whatever it wants to be at a moments notice. State of the art varilights and floods reflect off the mirrored doorways on the DJ stage. The DJs booth is lit up in front with lights that change color based on the music that's playing. Around the dance floor, separated by glass partitions are several couches and tables for lounging. More formal seating can be found on the above with proper tables and chairs, also partitioned with glass to allow those needing a rest to still enjoy the dancers on the floor below. A bar can be found on each floor, both black with mirrored fronts to reflect the lights from the dance floor. Behind the bar is a high-tech, mirrored drink area with glass shelving. Various libations, ranging from alcoholic beverages to fruit juices and sodas line the shelves. Every third weekend, Decades is decorated to reflect a different decade theme; costumes are required on these nights, and the music fits the theme.